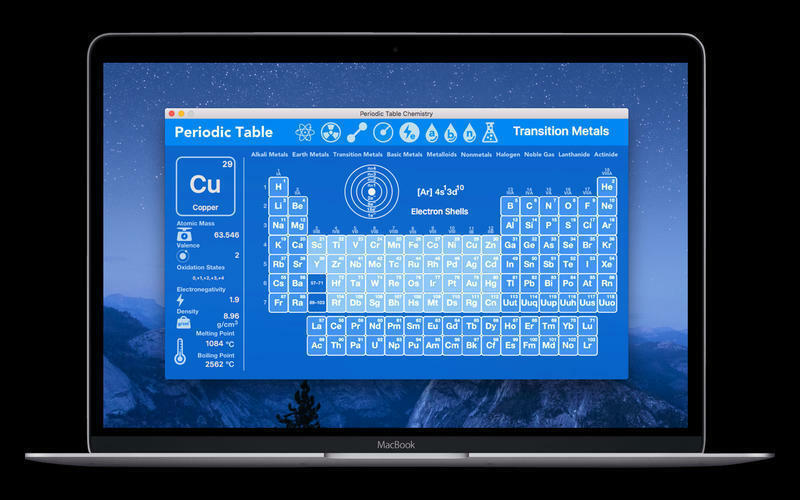 Is there a better alternative to Periodic Table Chemistry? 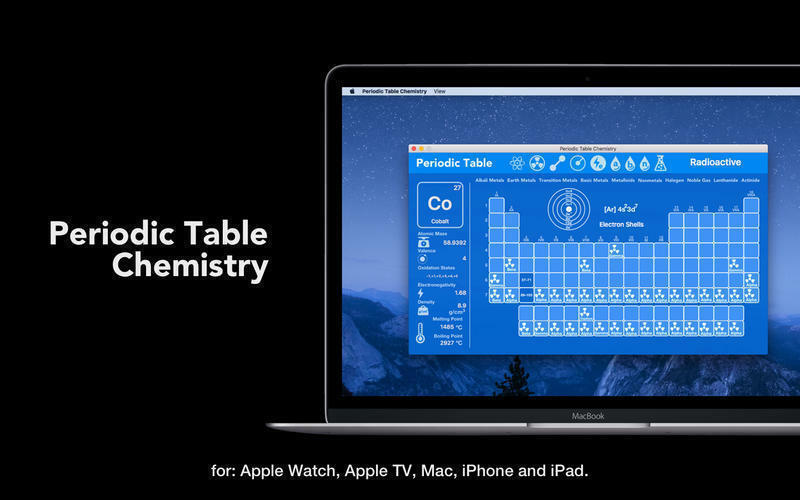 Is Periodic Table Chemistry really the best app in Teaching Tools category? 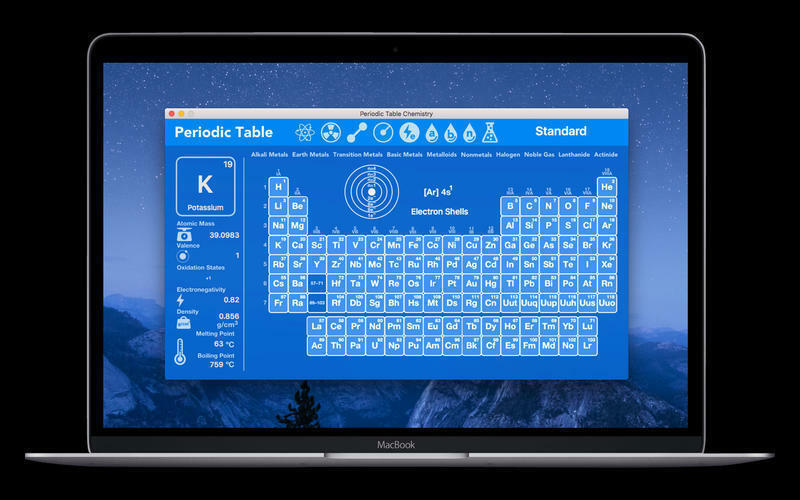 Will Periodic Table Chemistry work good on macOS 10.13.4? 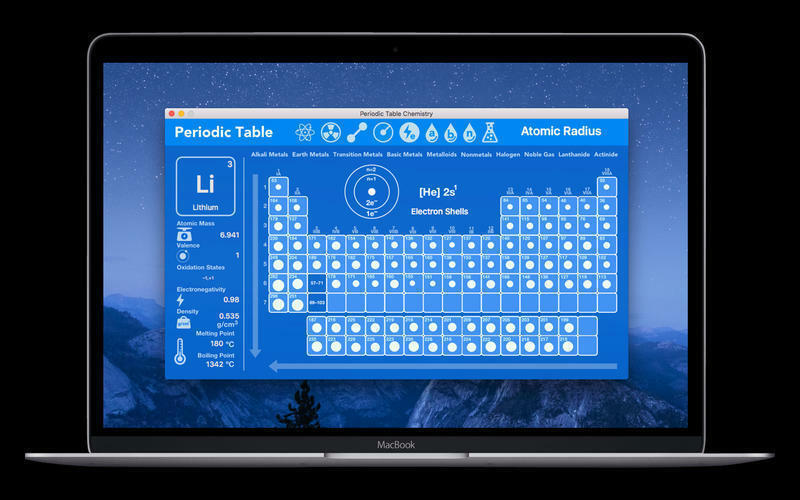 Periodic Table Chemistry lets you explore the periodic table. 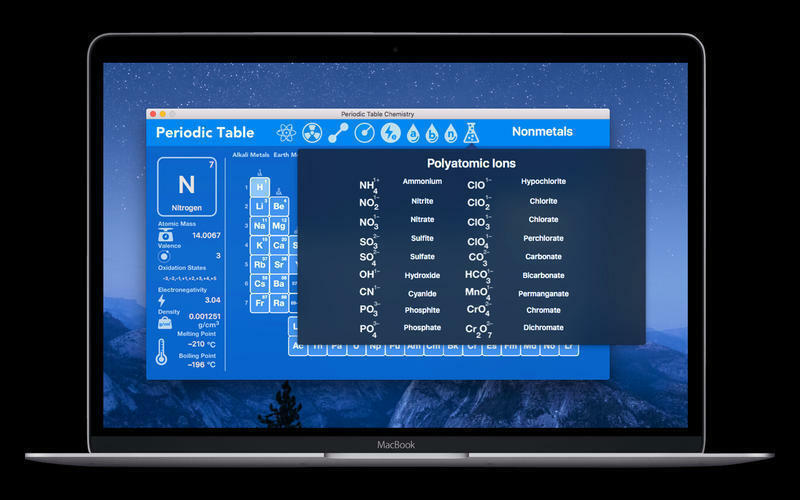 Periodic Table Chemistry is for you, for geeks, for nerds, for science lovers, for chemists, and for mad geniuses. Chemistry is everywhere! Periodic Table Chemistry needs a rating. Be the first to rate this app and get the discussion started!